Five Counties Insulation provides clients with a range of innovative insulation techniques and systems. 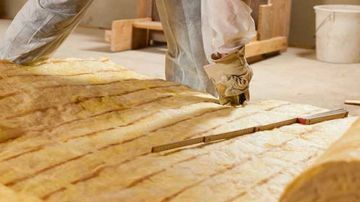 From cavity wall bonded bead insulation to spray foam insulation, our professional team is able to advise customers on the right type of insulation for their home. For advice and recommendations on the right insulation for your property, get in contact with Five Counties Insulation today. By insulating your walls with a bonded bead system you will improve the overall thermal properties of your home and reduce your energy bills, especially in the winter months. At Five Counties Insulation we use Warmfill Silver Bead, a NSAI approved product on all our cavity insulation jobs. Cavity wall insulation can increase the B.E.R. rating and the value of your house. At Five Counties Insulation we now offer Spray Foam Insulation that delivers up to 50% greater energy savings when compared to other home insulation products. Up to 40% of the heat you have paid for to heat your property escapes through your attic if it is not properly insulated. 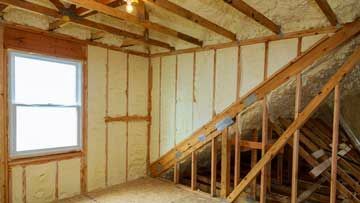 Current regulations specify that a minimum of 30cm (12 inches) of insulation for attic space. With Five Counties Insulation, you will get professionally fitted attic insulation which will reduce the heat loss and pay for itself over a shorter time period. For all your home and commercial insulation needs, get in contact with Five Counties Insulation today. As registered and approved insulation installers, we can help clients avail of the home energy grant. This grant allows for homeowners to improve the energy efficiency of their home. For more information on the home energy grant, get in contact with Five Counties Insulation today. For more information on our innovative insulation techniques, get in contact with Five Counties Insulation today. Better Energy Homes is a government scheme providing fixed cash grants for insulation upgrades. It is available to all owners of homes built before 2006. Grants are available for the following and must be completed by a registered SEAI contractor. With the Energy Efficient Incentive Scheme you will get credit on your Gas or Electric bill in addition to any Better Energy Home Grants available from the SEAI that you may be entitled to, just by using our approved partners to carry out the work.